As part of Cundall’s commitment to help build a pipeline of engineering talent, we continue to take part in various educational outreach activities and local initiatives in communities and schools across the UK. By doing so, we hope to inspire younger generations and tell them how wonderfully creative engineering can be whilst also creating a better world for us to live in. Here is a little bit about some of the things we have done so far…. 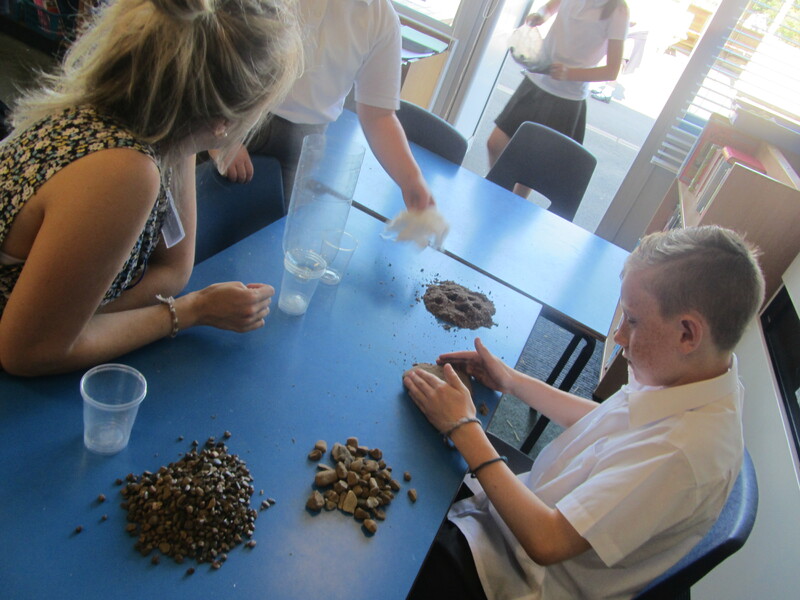 In early September, a group of us visited Amberley Primary School in Newcastle to conduct an engineering inspired workshop with a group of Year five pupils. The school actively promotes sustainable living and so we thought it would be a perfect opportunity for Cundall to get involved too!! Quite impressively, the school makes a conscious effort to reduce their carbon footprint and has built a wind turbine, which generates renewable energy and the ability to power 11 school computers! The school has almost completed work on an outside classroom in their yard! So off we went to the school and along to introduce ourselves to a very excited group of eight and nine year olds. We told them a bit about what engineers do day-to-day, in very non-technical terms of course and we set them a few tasks to keep them busy throughout the day. The first task was the creation of structures out of spaghetti and sweets which went down like a treat (pardon the pun). The students built some very creative structures, despite a few marshmallows going missing (ahem…) and there was a prize for the tallest, widest and most aesthetically pleasing models. In the afternoon, the pupils built a water filtration system out of various materials and again, we had some interesting questions and ideas from the pupils. We then all waited in suspense as the water trickled through each layer and our contaminated water eventually looked good enough to drink. Both parties fully enjoyed the day and I would like to say a huge thank you to all of those involved……..hopefully we have some aspiring engineers at Amberley Primary School now too. Back in July, we also attended a ‘Big Bang’ event in the North East, which involved over 8,100 young people in STEM activities. This year we are embarking on ambitious plans to further develop our educational outreach work, including talks in local schools and taking part in the ‘Engineering Education Scheme’, ‘Arkwright’ and ‘Reece Scholarships’. We are always looking to establish further relationships with schools and universities and to help promote the work that we do and encourage young people to develop an interest in STEM subjects. If you have any ideas or you would like to know more, then please do not hesitate to get in touch with me at j.verrill@cundall.com.